Hear about new posts as they happen. Improve your marketing. 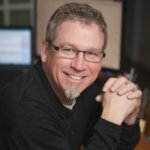 Steve Lawrence is the Director of Digital Marketing at John Moore Services, a 50 year old plumbing, air conditioning, electrical and “moore” services company in Houston, Texas. We are in a competitive industry in Houston Texas, and even with our current digital marketing team in place we needed additional resources dedicated to acquiring the links we need to facilitate better rankings. We contacted Credo and after a 30 minute discussion where they asked deeper questions to clarify our needs and current setup (including other agencies we already work with), they introduced us to two agencies who ended up being a perfect fit for us. We engaged with both! John Moore Services is an established HVAC “and moore” services company in Houston Texas. They got their start in plumbing and have since expanded to other home services including air conditioning, heating, electric, pest control and more. Steve contacted Credo because they needed to add the ability to build backlinks to improve their organic traffic. They have an in-house team for SEO and content and work with a content agency for onsite content already. Through our phone conversation, we learned that John Moore Services was primarily concerned that all links built be extremely high quality and have no risk of getting them penalized by the search engines. They were open to the agency creating content and doing the outreach, with outreach being the primary concern. At the end of the day, they also cared that any work done by the agency or consultant is ongoing and transparent. John Moore Services is exactly the kind of company that we excel at helping. They’re an established company doing great work with a full digital marketing team. They already have experience working with agencies, and simply needed help seeing through the noise of the digital marketing industry and being connected up with the right providers for their specific needs. We’d work with John Moore Services again in a heartbeat! Are you a business like John Moore Services that needs help getting connected to and signing with the right agency for your needs? Then schedule a call with us today. Rand Fishkin, cofounder and former CEO of Moz, said "GetCredo.com is one of the few trustworthy places to find a good SEO." Credo works with businesses who are looking to hire the right SEO, PPC, or digital marketing professional or agency for their unique needs. We implement our high-touch process to make sure you get the right matches and see the results you're looking for. What does an SEO agency or consultant actually do? What does “fresh content for SEO” mean? Should you hire the person who ranks #1 for SEO queries?